"I wondered if the rabbit was negotiable. 'I don't think you should go through with this,' said pretty much everyone else." "Many of my characters feel a sense of their unlived lives flickering around them; in my first few years of writing almost all of my narrators were men. As both a writer and a reader, I seem to possess a steroidal sense of credulity. “That wouldn’t happen,” I’d hear my workshop colleagues say later on—but the thing about things that wouldn’t happen is that once in a while, they do. And these make for interesting stories, if there is anyone to tell them." "Restraint, millennials on Twitter agree, is indispensable, even when boomers aren't showing any. Older colleagues may drop comments such as, “I have children your age!” Under no circumstance should you point out that you have parents their age. Just smile and don't stop smiling for the duration of your employment." I’m witches, I’m too witches to come, sorry"
I got to see Rebecca Scherm read from Unbecoming at Literati earlier this year. She discussed how her love of classic caper films like Charade and Rear Window had inspired the novel, and I was sold. It takes place in Tennessee and Paris, exploring the lead up to and aftermath of a crime. What happens when you don't become who you were supposed to be? An interracial family deals with the sudden death of Lydia, the celebrated middle child, which brings up issues that had lurked under the surface of the family structure for decades. Celeste Ng's novel explores the relationships between parents and children, a husband and wife, and a brother and sisters in Ohio in the 1970s. She weaves characters' histories so fully that each choice is logical, if heartbreaking. I keep turning over details from Everything I Never Told You. The story is haunting, and I would love to discuss it! This Minnesota band is playing in Chicago on Thursday - anyone there should go see them! 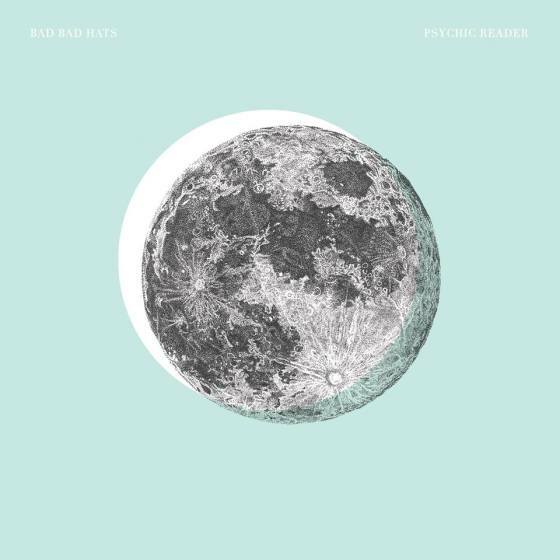 Their album Psychic Reader has been on repeat for me for the past few months. The title track is pulsing, rhythmic, and melodic. It makes me want to sing and dance along, two necessary requirements for my favorite albums. The lyrics are clever and emotionally honest. "Things We Never Say" starts with a description of buying a dress to spite a boyfriend. All Nighter describes hoping for a friend to make the first move. Check it out along with their EP It Hurts. Am I hitting a wall? Is it nothing at all? Instead of reading articles on the train, I've started listening to podcasts as I walk into work. My newest favorite is Call Your Girlfriend by Aminatou Sow and Ann Friedman. As someone with far-flung best friends, I immediately connected with the "podcast for long distance besties everywhere." Listening to smart women talk about interesting things is possibly the best way to get motivated on my walk into the office and feel inspired to do great things. Every other week, they interview a cool woman. Recently interviews: Huma Abedin, long-time Hilary Clinton aide; Rebecca Traister, author of All the Single Ladies; and Deb Perelman of Smitten Kitchen, my go-to food blog. How could I love this more? 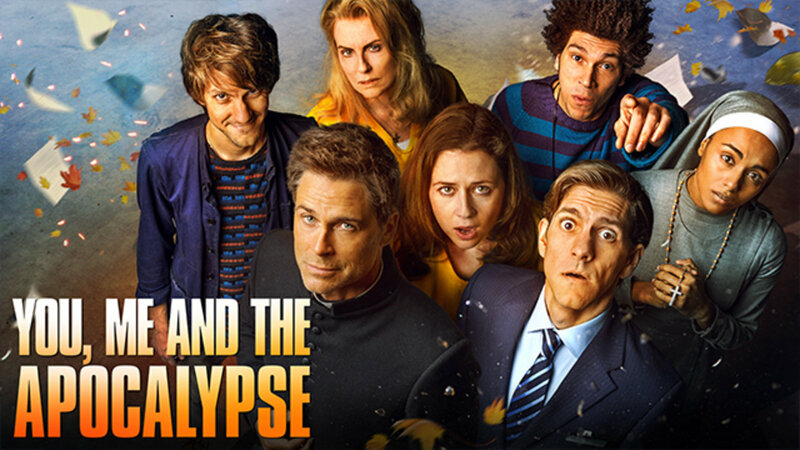 Rob Lowe playing a priest hooked me, and the rest of the characters pulled me in. 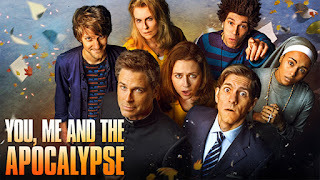 The show starts roughly one month before an asteroid will hit Earth and follows several characters as they navigate their final days before the apocalypse. I got unexpectedly emotionally invested in this, so if you want to discuss the show in depth, call me. Also call me about Broadchurch. The series, starring David Tennant and Olivia Colman, is stunning. The acting, the writing, and the landscape itself - I could not look away. 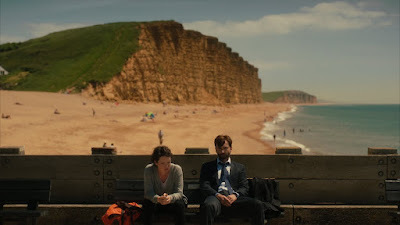 Detective Alec Hardy arrives in a small seaside village after a public failure on another case. Immediately, an eleven year old boy is found dead on the beach, and the town is plunged into a murder investigation. The evolution of Hardy's relationship with DS Ellie Miller is a highlight, as is the exposition of the characters' histories and motivations. Additionally, I loved the emphasis on strong women who must resolve the issues of the weak men in their lives. Amazing, through and through, and I can't wait until the third series. I read food blogs and cookbooks to relax on the weekends, and these bahn mi meatball subs are my best recent find. ...and a pile of detective novels, of course. Please feel free to recommend more! Nice to read the few highlights of the year. We all must create a ht list for the whole year and we can know what is going to be in the coming days.